This adorable Gund Teddy Bear measures 61 cm in height. Soft and plush, it has wonderful super-soft swirly fur and is suitable for ages one and over. 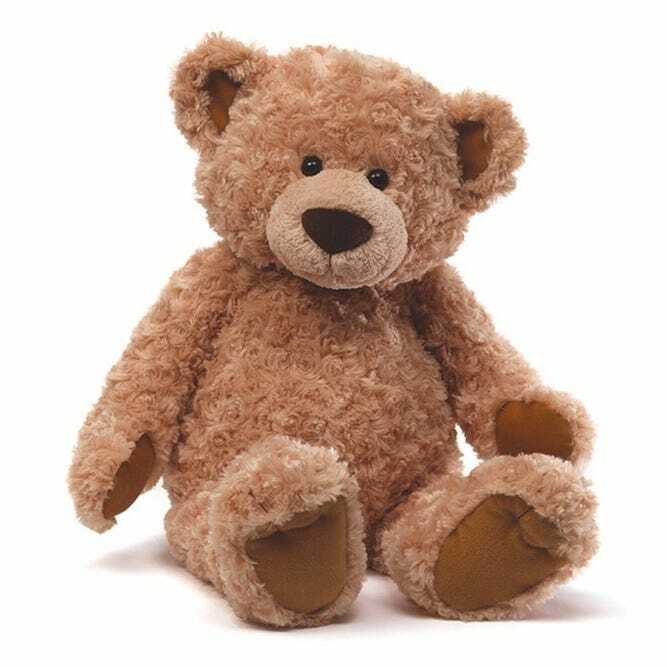 To be in with the chance of winning the Gund Teddy Bear, simply choose a name for him or her via the form on Cosyfeet.com by 11.59pm on Friday 30th November 2018. One prize available. One entry per person. The winner will be contacted by email. Prize cannot be exchanged for a cash alternative. Prize can only be sent to a UK address. We reserve the right to withdraw this competition at any time.